Welcome to the dojo of the Kitchen Ninjas. This is a place for foodies and ninja-fans of all ages to sharpen their cooking skills. Whether you are a veteran or beginner, we strive to meet your needs where you are right now. Use the Kitchen Ninja Grading System to find cooking lessons that match your own skill level. What belt are you? 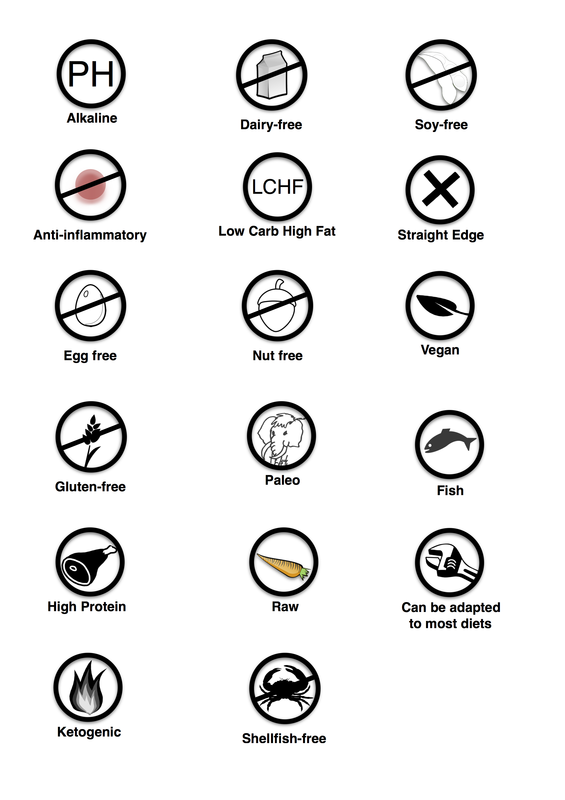 Do you have special dietary needs? Then look for the Kitchen Ninja Diet Symbols. We label all our cooking lessons and recipes to help you find options best suited to your diet.